Hiiiiii beautifuls!! 🤗🤗🤗 Okay, so, no long talk. Let’s just pretend this is a blog for annual posts shall we? **huuuuge grin 😬😁…and now, straight to our first (fingers crossed not the last) “annual blog post”, it’s Ready…Set…Plan!! Whoop whoop. This year, we’re kicking it up a notch! I’ve had sooooooo many enquiries about training and courses in event planning & coordination so we’re more than ecstatic to announce the very first Ready…Set….Plan! (RSP) session for event pros and aspiring event planning & coordinating professionals! My plan for RSP is to saturate participants with so much information you’ll have no excuse to not go out and conquer the world of event planning in Ghana!! Yaaas! 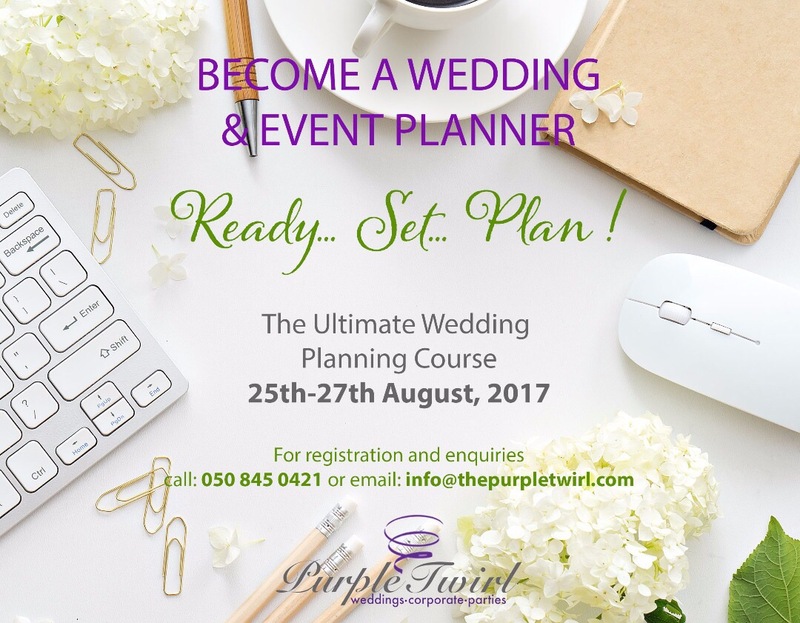 It’ll be a 3 full day session from 25th to 27th August 2017 and I will be sharing tonnes of Purple Twirl tips and tricks for planning and coordinating fab events, along with some industry experts! If you or someone you know is interested or would like to know more, kindly call 050 845 0421, Monday to Friday from 8am – 5pm or email us at info@thepurpletwirl.com. Additionally, you can email or text us your full name, email address and phone number and we’ll send you registration details! I cannot wait to share the experience you guys!! I’m super excited. 💃🏾💃🏾 Let me hear from you!